Last weekend, I had the pleasure of meeting a few new friends during my trip to Boston. They were all beauty bloggers and Youtubers. As we were conversing about YouTube and Social Media in general, the monetizing topic came across our minds. 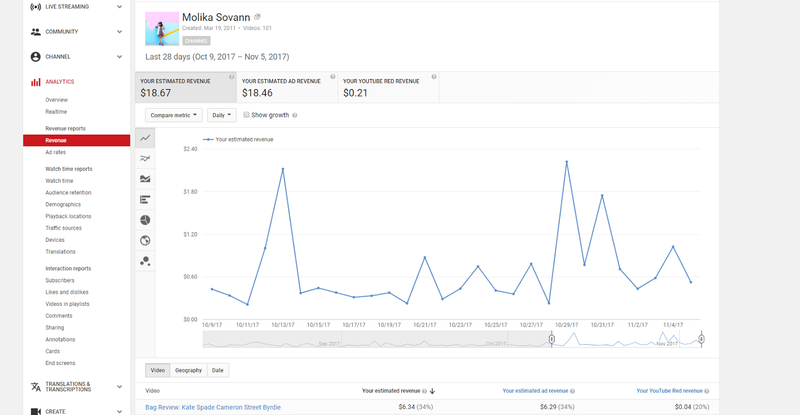 Since we were talking about this topic, I realized that some of you might need more information on how to monetize and check your earnings from your YouTube channel. So today, I would like to share with you all how I monetize and check my earnings. There are so many information out there and it can get a bit confusing sometimes. If you feel overwhelming when talking about monetizing, you're not alone. I am too feeling that way but we shall work through this together. I do want to mention that these information were base on my own research and stress that I am not an expert at this topic, so please take it with a grain of salt. First, let's talk about the most important changes in the YouTube community. When I first started YouTube, the Partner Program were open to anyone. You can signup and immediately start making money once you reach a 1000 life time views. It is not the case now! According to The Verge article, YouTube had changed their Partner Program. 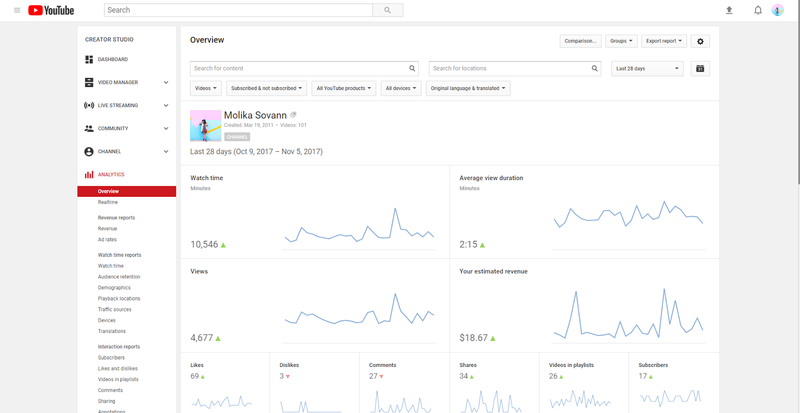 Instead of 1000 views, you now will need to have a 10,000 lifetime views before you can turn on your monetization. That being said this change will not affect any existing YouTube Partners. Now that you know how many views you need to monetize your videos, let's move on how to monetize your awesome videos! To monetize existing videos, you will need to go to your "Creator Studio" than your "Video Manager". 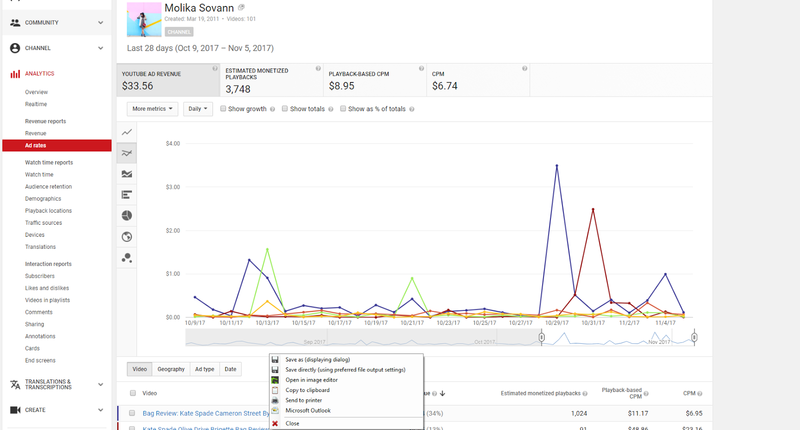 Select the video that you would like to monetize with ads. Once you do that you will get to this screen. Select the monetization tab and turn on your "Monetize with ads." Choose your preferred ad format and save changes. Congratulations, now your video can start earning money! Follow the same steps when you upload a new video. 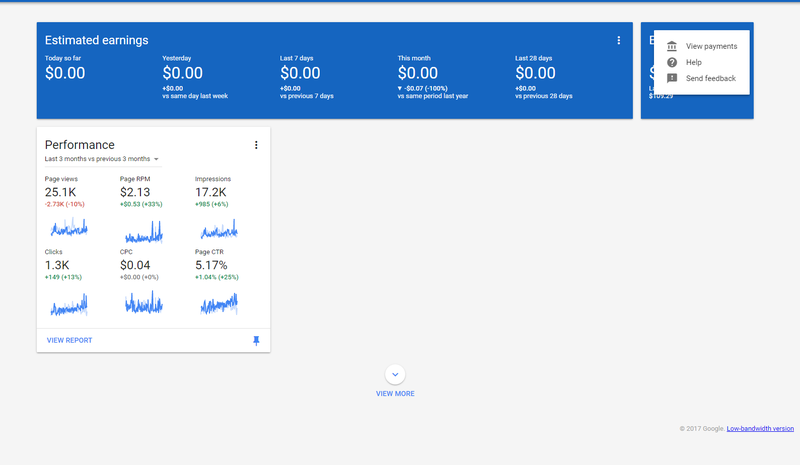 Once your videos are monetize with ads, you can check how your ads perform and how much you earned by go to your "Analytics" in your "Creator Studio". This is the current overview of my analytics. To be honest I'm still learning how to use all the tools that are available, so I'll just focus on the revenue part. As you can see, my estimated revenue for the last 28 days is $18.67. Keep in mind that this is just an estimate and not the actual earnings. You can also change the date to show your life time earnings. Let's move down to the revenue reports and the ad rates. The revenue report shows how much you make daily and you can play around with the tools on the bar graph. The ad rates show the top five videos that earn the most. Like I said, I'm still learning how to read this analytics so I'm not exactly sure how I can use the information from Estimated Monetized Placybacks, Playback-Base CPM, and CPM. So How do I get Paid? 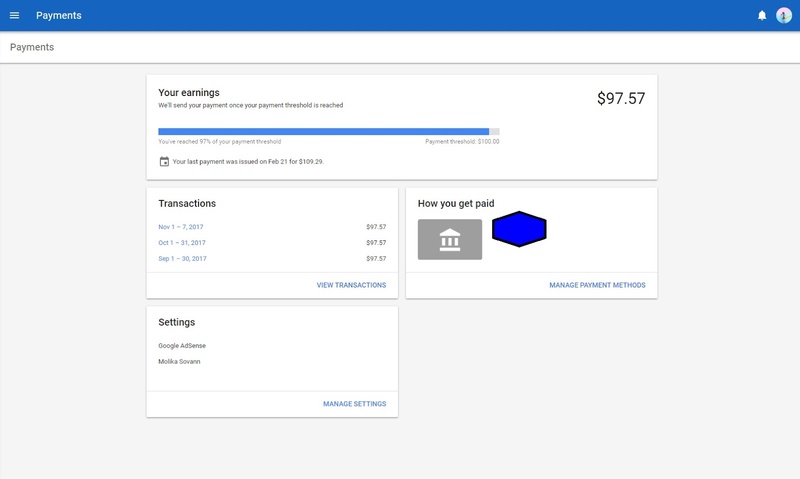 To get your payout, you will need to log in to your Google Adsense Account. Below is my current dashboard. As you can see, there are others analytics on my dashboard. These analytics are from both my YouTube channel and this blog. The current balance is the balance that I have in my account since the last pay out. There is a $100 threshold for the payment. If your current balance is more than $100 and you would like Google to cut you a check, click on the 3 dots next to the balance, and choose "view payments." As you can see, I have not meet my $100 threshold yet, therefore I can't request any payout. You need to make sure that you add your bank information on "How you get paid." In order to do that, go to your " Manage Payments Method" and add your bank details and how you would like to get paid! Now say hello to your first paycheck! I hope you find this information useful and if you have questions or anything to add, please leaves some comments down below.